The weather is more spring-like every day, and our garden is taking shape! 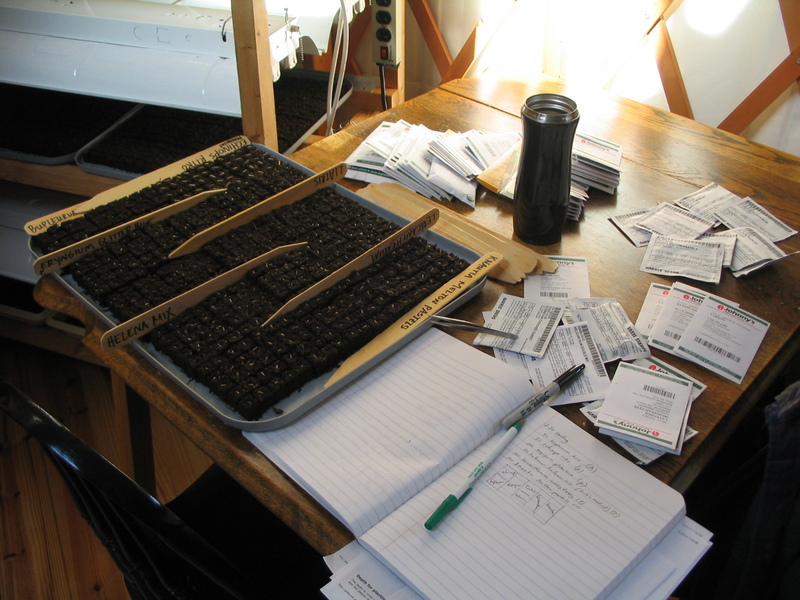 I started many trays of seeds in mid-February. We brought the light-bay into the yurt, since this is our only temperature-controlled environment. It wasn’t easy finding the space, but we managed. Some things are just that important. Last weekend we started planting the six rows Gavin had tilled up a few weeks ago. 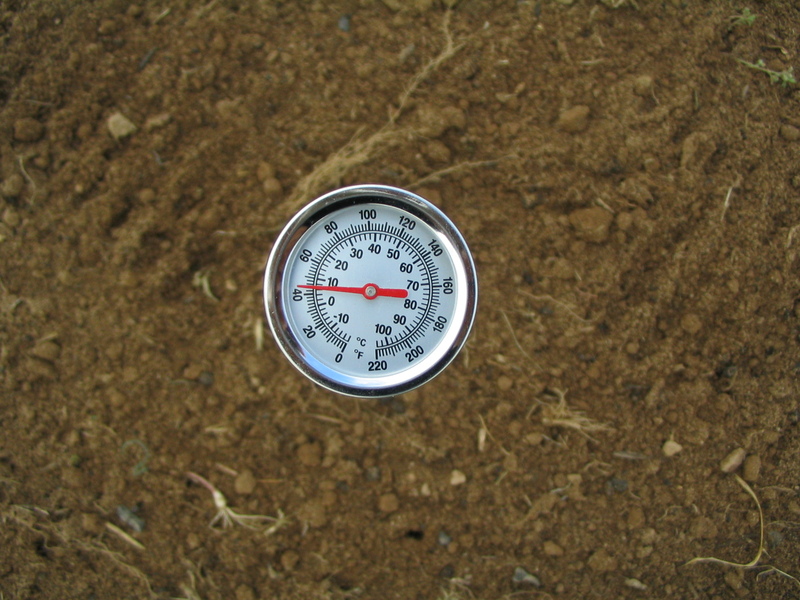 The soil temperature is still pretty cold. 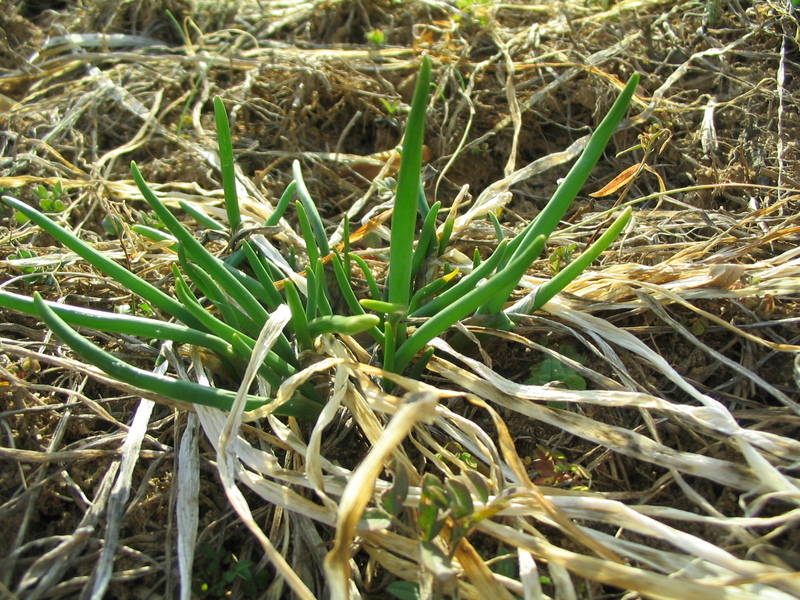 Yet there are signs of life everywhere in the garden; these are chives coming back. I planted these bachelor’s button flowers in late fall. 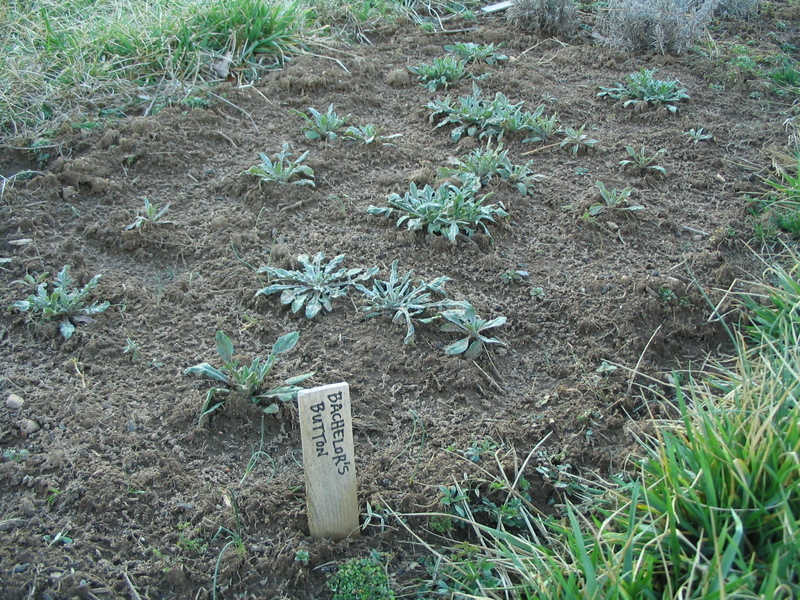 They should bloom much earlier than spring-planted seeds since they have had all winter to develop a strong root system. 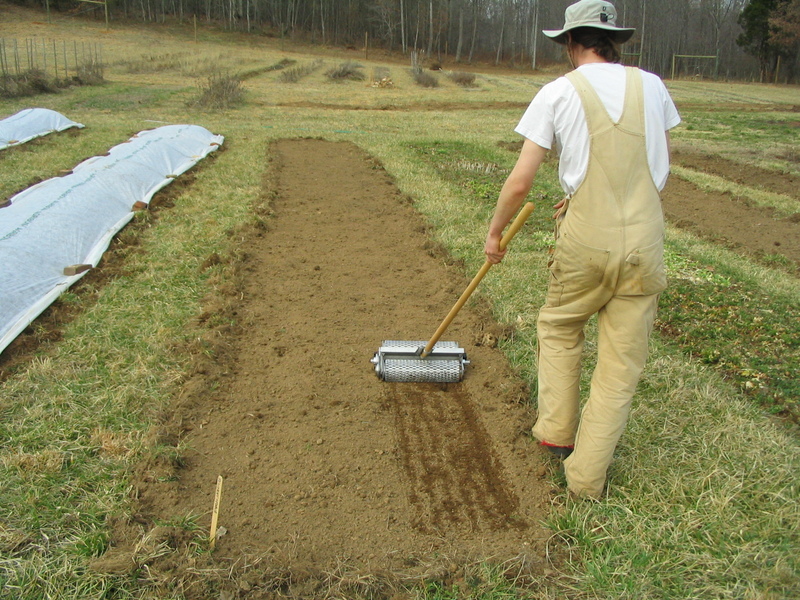 Gavin raked out the beds by hand, which was a chore. The tiller does a great job, but there is still a lot of sod and some debris to deal with. 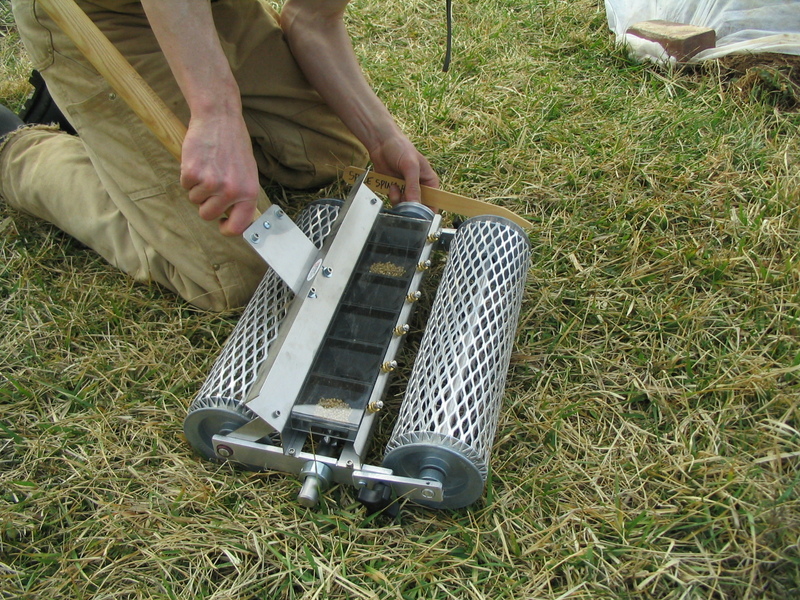 We got this six-row seeder for planting most everything we’ll direct seed. This was our first time using it, and we were impressed. 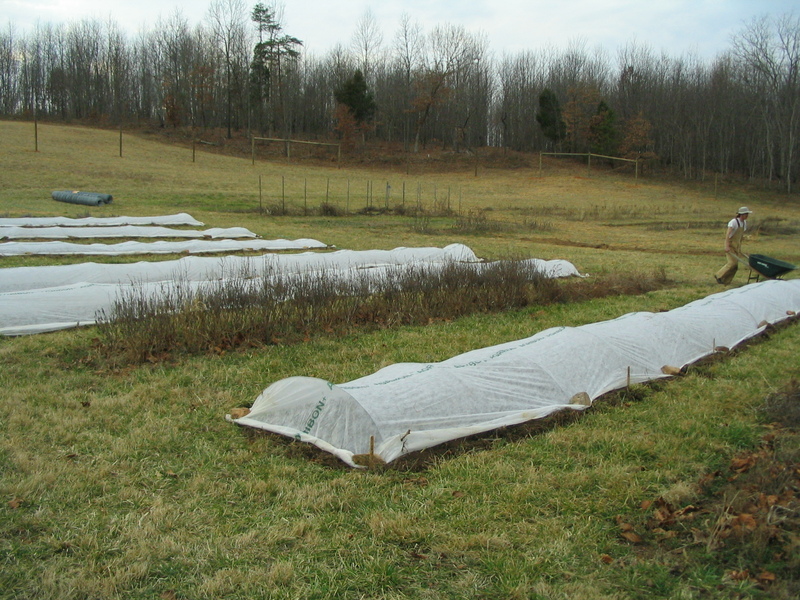 It works well if you have a finely prepared seed bed. 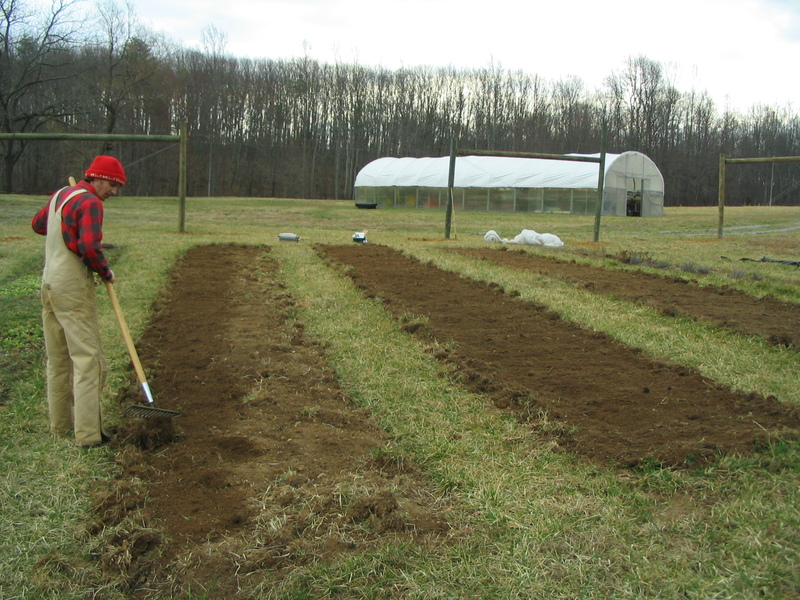 Luckily our soil is mainly rock-free, and the debris was minimal after Gavin raked the beds. Seeding the rows was easy. Changing the setup for different sized seeds and different crop spacing was quick. 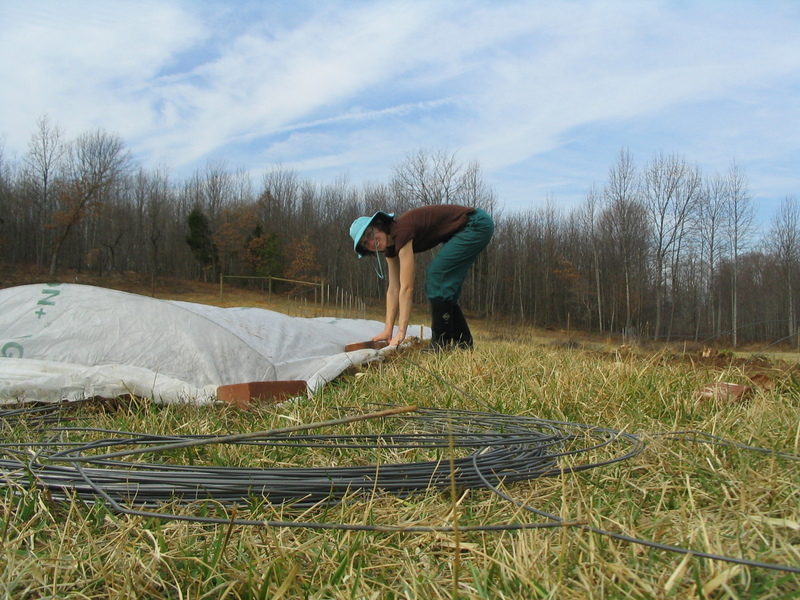 Then came the job of putting in wire wickets over the rows and covering the rows with agricultural fabric. We are using rocks and bricks to hold down the edges, which takes some time to do. With our current setup we are somewhat less efficient than we would hope to be, but this is to be expected at this point. 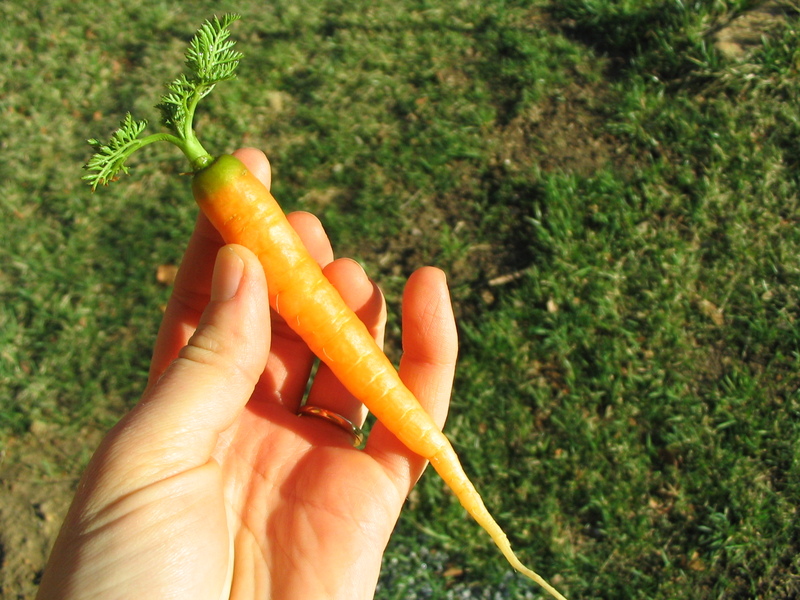 I pulled up this little carrot, which we planted late in the fall. Tasty! Where does one get those wire wickets? I’ve looked all over… maybe you make your own?? We buy rolls of 9 gauge soft smooth brace wire from a local farm supply store and cut it to length with heavy duty wire cutters. I have also seen similar pre-made hoops for sale in the Johnny’s Selected Seeds and the Harris Seeds catalogs.